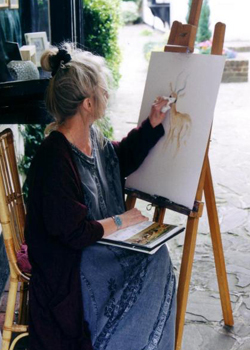 Born in 1948, Nikki Trowers was inspired by her grandfather who constantly drew lions and boats for her. From very early on she drew animals at every opportunity. Totally self-taught she started drawing friends’ dogs and cats. 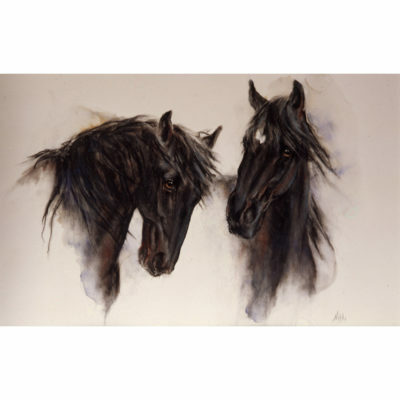 She continued to specialise in Animal Studies through the medium of pastel watercolour for which she has received international recognition. 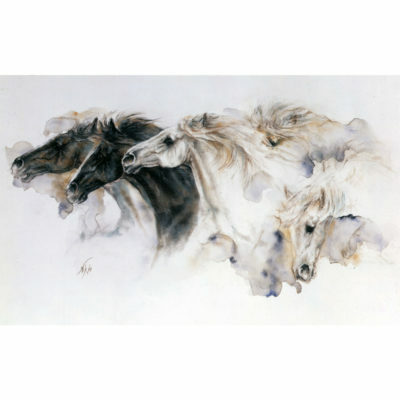 She has exhibited at the Mall Galleries, London in the wild life and pastel exhibitions. During this time she also produced designs for gun butts for Holland and Holland. The most unusual four legged image she produced was of a smiling dinosaur for the engraver of their famous guns. And it grew from there. 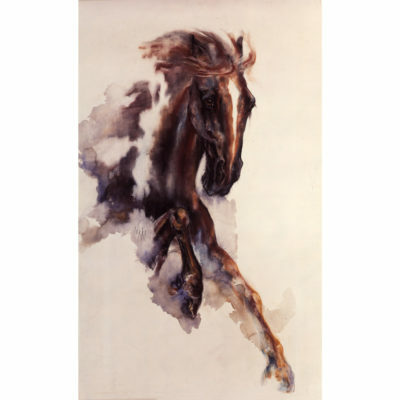 She has been established as an artist in her own right for approximately twenty years, during which time her work has continued to grow and develop. 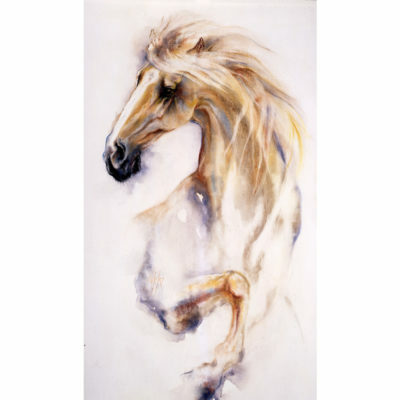 Whether it is the domestic pet, a big cat or dashing wild horses, Nikki recreates the very personality of the animal she paints. At present she lives in Farnham, Surrey with her husband and family and has developed an interest in sailing; the sea being another of her loves.